Organic farming is a practice that uses limited chemical treatments and fertilizers or synthetic pesticides. There are many aspects and circumstances that must be met in order to be certified organic. In addition the entire production of the material must be organic, such as the distribution, storage and warehousing must be in areas or through other companies that are certified organic. 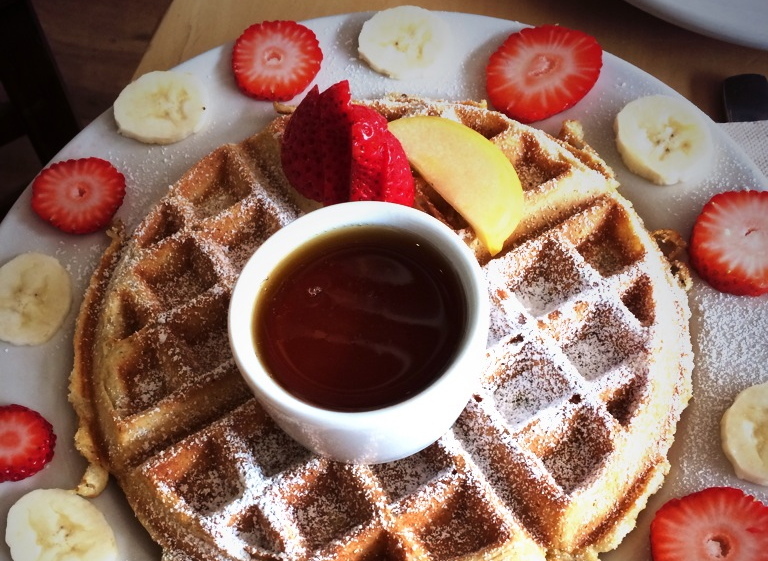 Many stores and restaurants, such as Sally Loo’s Wholesome Cafe, use or have organic items for these reasons. Some benefits of using organic practices are the protection of natural resources and materials, localize industries and receive premium prices. The whole practice is beneficial to biodiversity and all life forms. First year biological studies major, Ellen Krippaehne, grew up eating organic foods in her home and has tried to continue this practice in college. “At home we only ever had organic and I think it’s still something I need and want to do for my own health and the health of the environment,” said Krippaehne. A downside that many consumers bring issue with when it comes to organic materials is that they can often times be slightly more expensive than non organic competitors. This price jump turns many consumers away from purchasing organic foods over non organics, such as frugal first year aerospace engineer Jake Davis. “I understand what organic farming is supposed to be getting at, but I feel like conventional farming’s practices are not as undesirable as people make them out to be so I generally just buy regular foods,” said Davis. There are some foods that are recommended to buy organic over others though. According to an ABC News article, Organic vs. Nonorganic: What Should You Buy?, the top five foods to buy organic are strawberries, bell peppers, carrots, apples and celery. Cal Poly’s campus has its own working organic farm, which is an 11-acre property that is certified organic by the California Certified Organic Farmers. It strives to teach students the process and requirements of organic farming but also reaps product that are later sold at various times and locations. The organic farm’s produce is available at downtown San Luis Obispo’s Farmer’s Market as well as on the campus plant store on Wednesday and Thursday from 2 p.m. to 6 p.m. 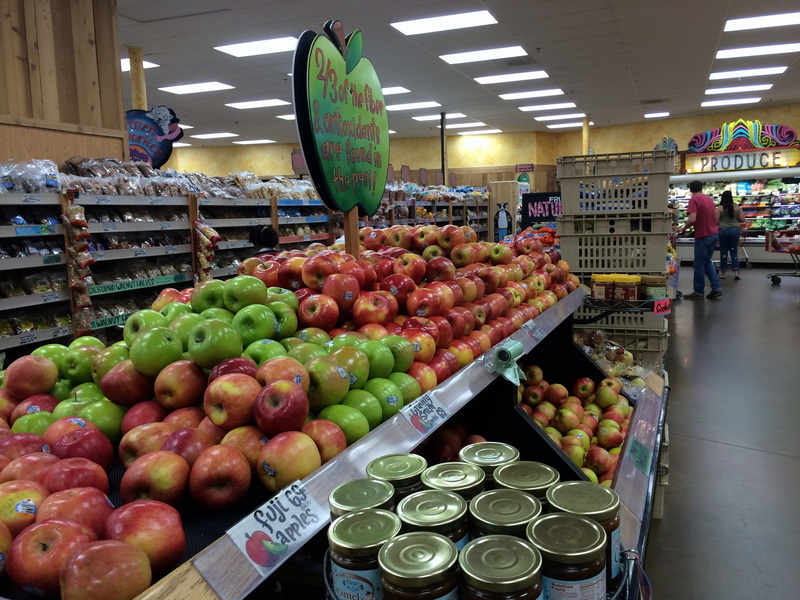 In addition, San Luis Obispo offers numerous grocery stores that provide a wide selection of organic foods such as New Frontiers and Trader Joes. Many general grocery stores have organic options as well. In this video, some simple and easy tips are provided by Mr. Dennis Elliot, assistant director of energy, utilities and sustainability, as well as everyday sustainable habits of students around Cal Poly. California is experiencing the worst drought on record. Cal Poly owns a part of a private water source and has been using it very efficiently the past 14 years. There are many easy and simple ways every student could reduce their water usage. Water and energy usage go hand-in-hand so working to conserve both is a beneficial practice in water conservation. Any even somewhat news-consumer would know that currently the state of California is going through a serious drought. And by serious, they mean serious. According to the federal government, every corner of California is experiencing some form of drought but the central coast is experiencing the most extreme state of drought, known to be the worst on record. Gov. Jerry Brown has called for all state agencies to cut down their water usage by 20 percent. In response, many business and industries are forced to cut back on their usual practices and reorganize their facilities to reach the request. How does the drought affect Cal Poly? Cal Poly’s facilities are in the process of conserving more but have been consistently doing so for nearly 15 years. 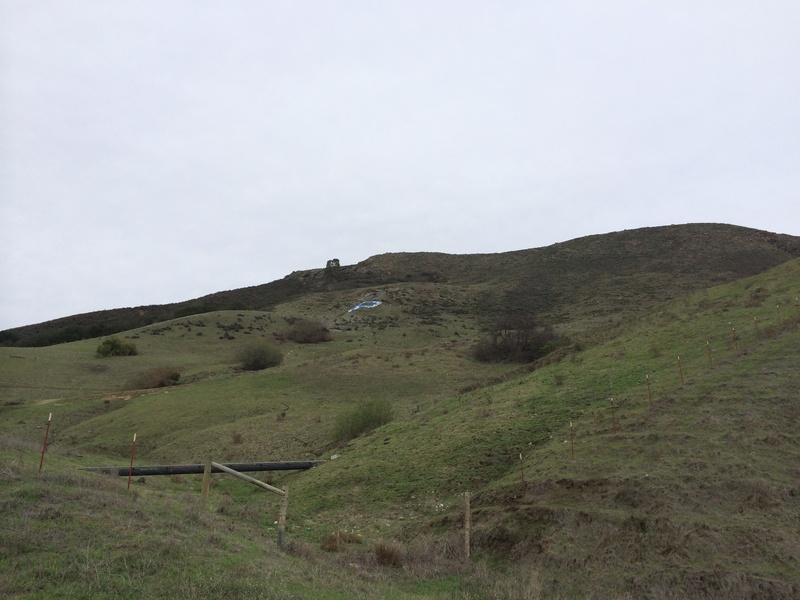 Cal Poly’s water source comes from the privately owned and shared reservoir, Whale Rock in Cayucos. Cal Poly gained its approximate one-third share in 1960 when it teamed up with the city of San Luis Obispo and The California Men’s Colony to design and construct the reservoir off of the stream Old Creek. Because of this water ownership, Cal Poly does not receive any of its water supplies from California state water stocks. Through efficient and methodical use of water supply, Cal Poly’s share of water is two-thirds full, enough to keep maintaining Cal Poly’s water systems at today’s same pace for seven years without a drop of rain. 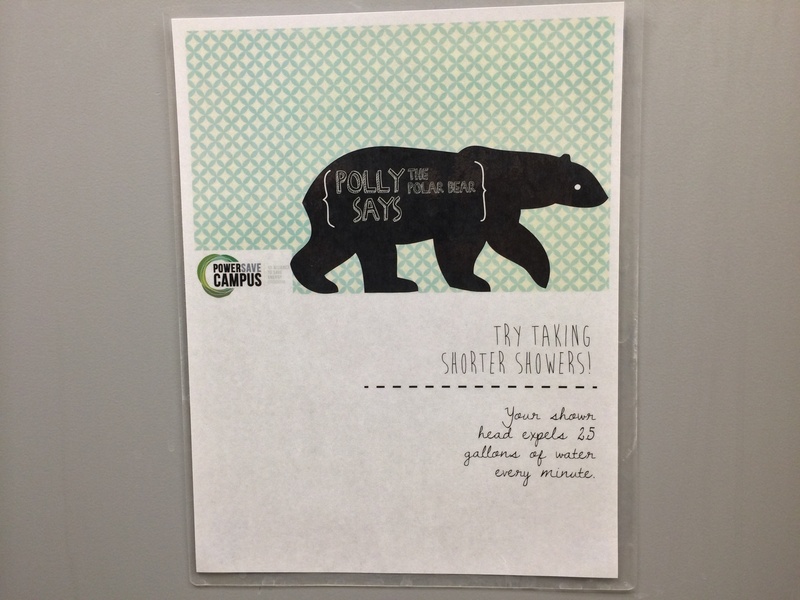 Additionally, Cal Poly has been making progressive and continual actions to increase their conservation. Assistant Director, Energy, Utilities and Sustainability, Dennis Elliot, has watched and overseen much of Cal Poly’s movements towards increased conservation. “If you look at our water usage historically, our water usage on campus has been flat even though we’ve increased in square footage, with new buildings by about 50 percent and we’ve approximately doubled the residents that live on campus,” said Elliot. About half of Cal Poly’s water usage goes to the campus core, such as housing and buildings and the other half goes towards agricultural practices. And though Cal Poly has been and currently is taking proactive steps to water conservation, the responsibility to further and continue such practices is present. There are many simple and easy ways to answer the call of conservation. 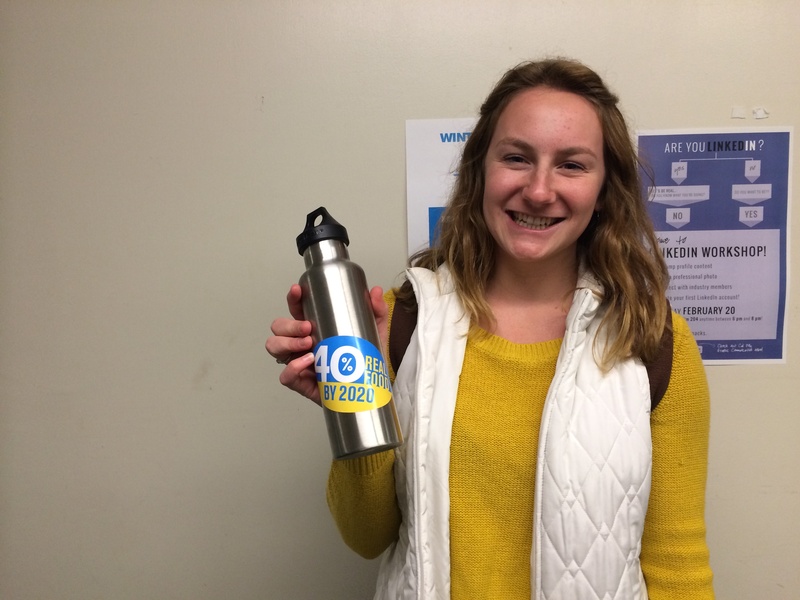 Students living on and off campus can all make proactive steps towards lowering personal water usage as well as taking action to communally conserve water. Retrofit appliances- According to Elliot, retrofitting appliances not only conserves water but can be cost affect as well. “There are incentives for retrofitting appliances that use hot water, such as shower heads, faucets, dishwashers, washing machines; there are rebates available for anything that reduces energy use, natural gas to heat it,” said Elliot. Dishes- Often times newer dishwashers use less water than hand washing them. Additionally, when hand washing dishes, fill the basin with water and let dishes soak instead of running the water and scrubbing. Laundry- Only do laundry when you have a full load. High efficiency washing machines, which often load from the front, use 15 gallons of water per load compared to 50 gallons of water in traditional washers. Sprinklers- Be sure to adjust any sprinkler systems for weather patterns and necessity. Rain censor sprinkler systems are widely available at hardware stores. Tap water importance- Using reusable water bottles saves more water than buying prepackaged water due to the water and energy needed to produce and transport the disposable water bottles. Fix leaks- Fixing both audible and silent leaks in sinks, showers or toilets can conserve water and money. According to Water Use It Wisely, one drip of water every second adds up to five gallons a day. Sink usage- Another classic water conservation tip is to turn off your sink when brushing your teeth or lathering soap on your hands. Conserve energy- An often unknown but incredibly important aspect to water conservation is energy conservation. The relationship between water usage and energy usage is known as water-energy nexus. Because of this relationship, in conserving water, you are able to conserve energy, and in conserving energy, you are able to conserve water. In California, 20 percent of all energy consumption is due to the pumping, distribution and treatment of water. In addition, power plants are the second biggest water consumers of all sectors. Education and outreach programs about water and energy conservation have been increasingly successful this year largely due to the public’s eye on the drought, though there is still an apparent need to increase conservation both within Cal Poly and throughout the state as a whole. Cal Poly’s Real Food Collaborative club attended a conference Feb. 15-16 in Santa Cruz, which discussed ideas and suggestions for improvements of the functions of Real Food Collaborative clubs throughout the CSU system. The conference was open to all CSU schools and together worked on solutions and systems to getting healthy, more sustainable food options on campus. What knowledge or tools where you able to gain from going to the conference? First year nutrition major Petra Knapp attended the conference in Santa Cruz and believed the club gained a lot of useful skills, ideas and conversations at the conference. What did Cal Poly uniquely bring to this conference? First year forestry and natural resources major Chris Daunt thought Cal Poly offered a distinct perspective other schools benefited from. How can you see the knowledge gained at this conference being implemented into Cal Poly’s Real Food Collaborative club? 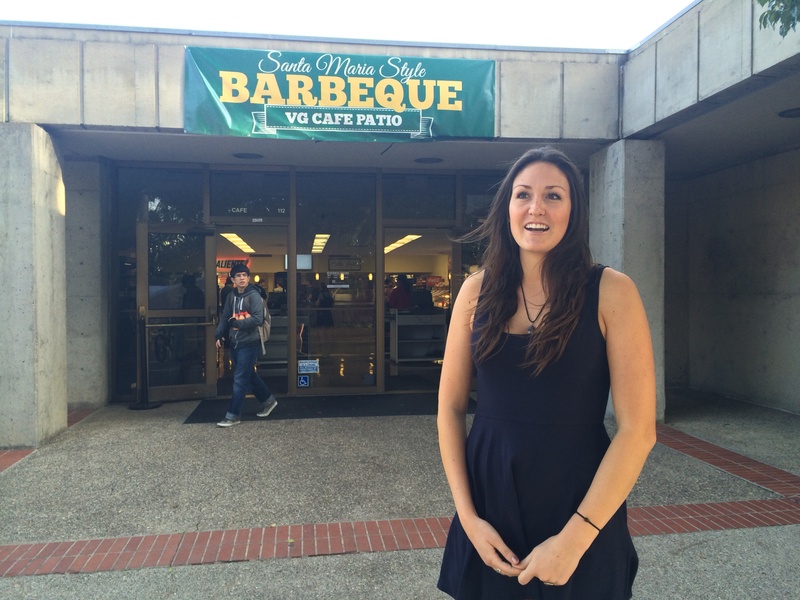 Freshman nutrition sciences major Brooke Holland also attended the conference and believes Cal Poly’s Real Food Collaborative club will be better equipped to proactively dealing with school food officials because of the information learned at the conference. Surfrider is a club on campus which works to promote clean beaches and ocean water. Surfrider has monthly beach cleanups throughout the Central Coast. The club is currently working on an Ocean Friendly Garden project as well as Blue Water Task Force Project. Surfrider Foundation is a nationwide, grass root nonprofit, which works to clean and preserve our nation’s beaches. Cal Poly has its own Surfrider branch on campus run by students as an ASI club. The club works to keep north county’s beaches, waves and ocean water clean through different tests and beach cleanups. The San Luis Obispo chapter of Surfrider works to keep south county beaches clean. 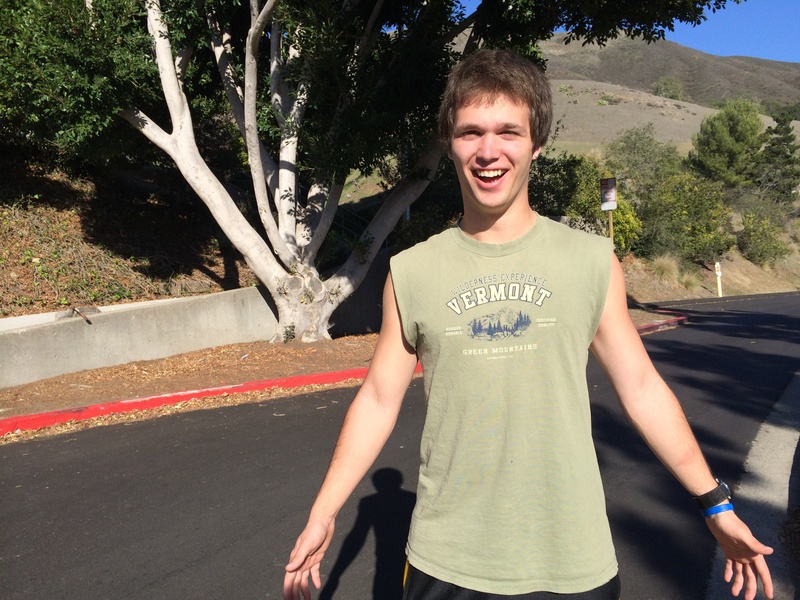 The president of Surfrider is a fourth year industrial engineer, Alex Ly and believes the goal of Surfrider is something most students at Cal Poly would support. The monthly beach cleanups, which Surfrider puts on, occur at any number of locations throughout SLO. The main north county beaches are Morro, Dog Beach and Cayucas. Cal Poly Surfrider also teams up with SLO Surfrider to do larger beach cleanups along the coast, and Cal Poly Surfrider has also worked with other clubs, organizations and groups throughout campus, such as various freshman dorms and Recreation, Parks and Tourism Administration. The majority of Cal Poly’s Surfrider club attends these cleanups ritually and believe they are at the core of Surfrider’s mission. First year business major and Surfrider member Skyler Hubler joined Surfrider during the club fair at the beginning of the year and has since attended the majority of the beach cleanups. “The beach cleanups are truly what Surfrider is all about, and I think the club really bonds over these outings,” said Hubler. 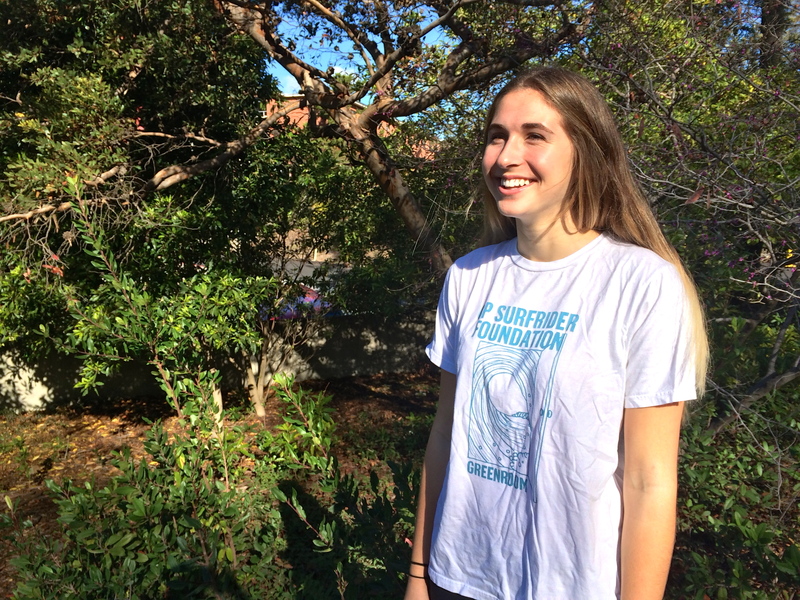 Freshman Skyler Hubler joined Surfrider this year and enjoys both its activities and its mission. One of the larger projects Cal Poly Surfrider has taken on this year is the process of creating an ocean friendly garden here on campus. 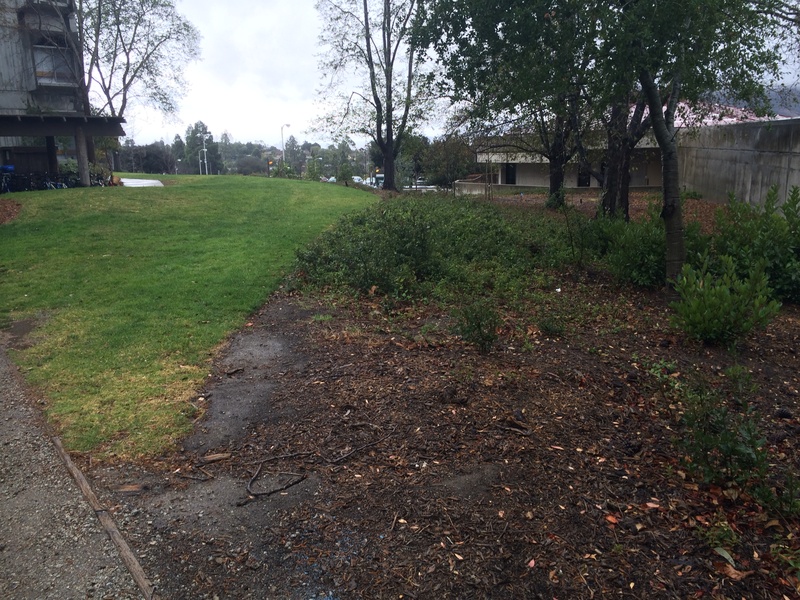 The garden is proposed to go in behind the Engineering IV building (building 192). Ocean Friendly Gardens program is a program running throughout all chapter of the national Surfrider foundation. According to the national Surfrider foundation, the number one pollutant in the ocean comes from urban garden runoffs. The Ocean Friendly Garden program aims to combat that. 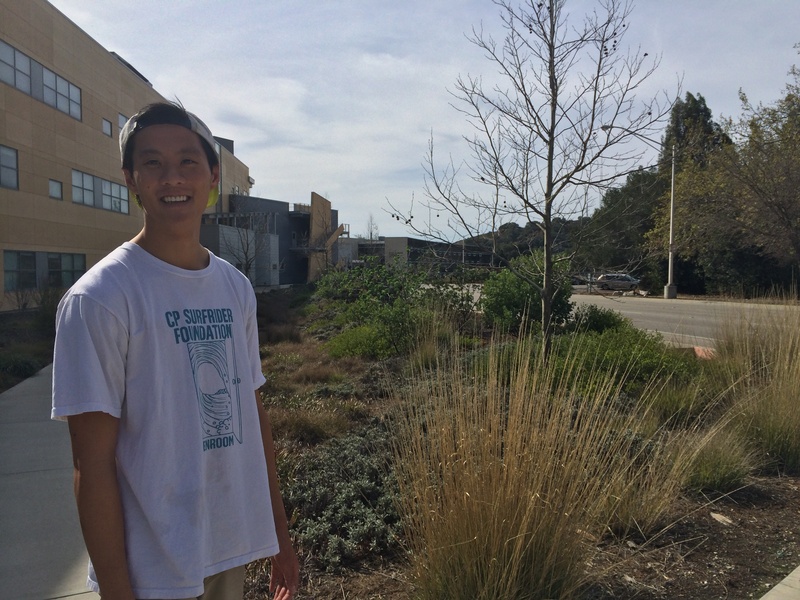 Cal Poly Surfrider president, Alex Ly, stands by the patch of vegetation that will soon be turned into an ocean friendly garden behind Engineering IV. The Cal Poly Surfrider club proposed a plan to create an ocean friendly garden, and the Cal Poly Landscape Committee is discussing it this month. Another project Cal Poly’s Surfrider club undertook is the Blue Water Task Force practice encouraged by the national Surfrider foundation. The Blue Water Task Force is a scientific test of the cleanliness of the ocean water, which is then analyzed and posted for public data. The procedure follows the same steps nationwide. Experimenters go knee to waist deep in the ocean and collect a sample of the water. The water is then tested for bacteria that mark the waters as unclean or unsafe. The results are shared online through the national Surfrider Foundation’s program website. If a site is marked as having high bacteria levels consistently, advisory warnings are posted both online and at the entry site of the beaches where foot traffic would most likely see them. First year environmental engineer and Surfrider member, Leighton Murphy, has done some work with the Blue Water Task Force and believes it’s an important aspect to keep beaches clean. “I think a lot of people think Surfrider just works with beaches, but Surfrider actually does a lot to help maintain healthy oceans as well, like through Blue Water Task Force,” said Murphy. 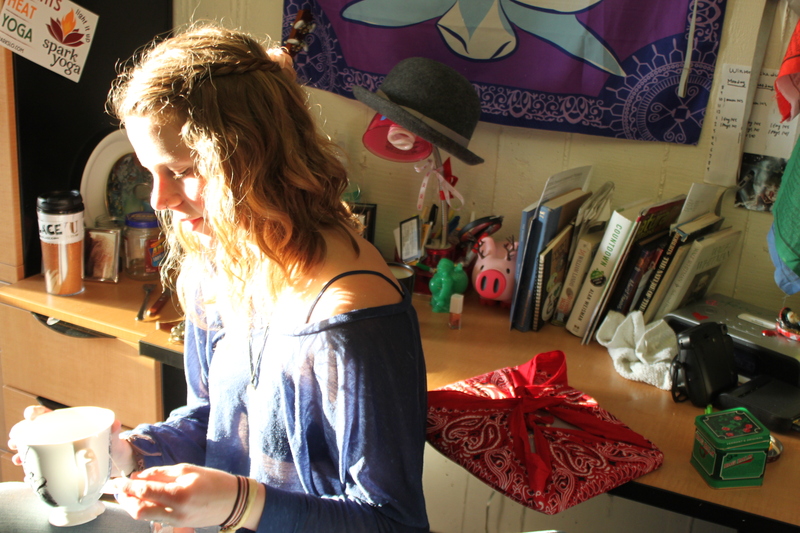 Cal Poly’s Surfrider club holds meeting twice monthly on Thursdays at 11:00 in Building 10. New members are always welcomed. 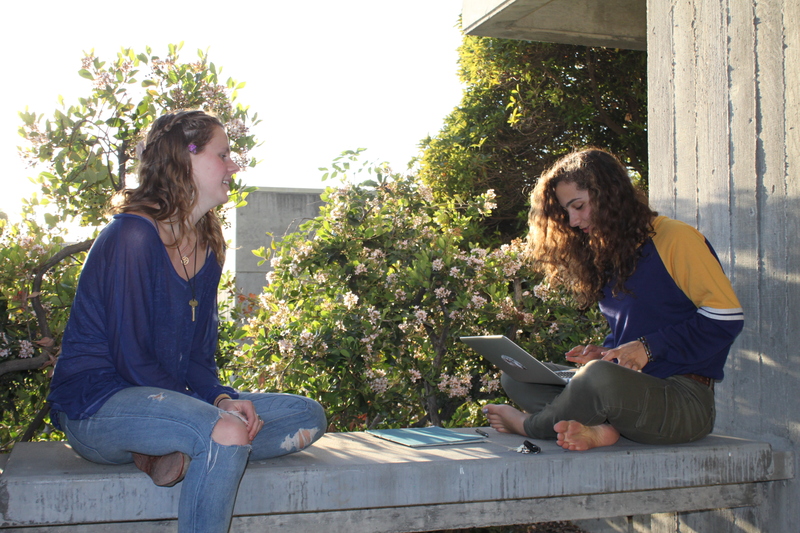 Empower Poly Coalition is a hub for sustainable entities throughout Cal Poly. EPC is made up of different clubs with varying purposes and projects. EPC has many influences on Cal Poly’s campus and will continue to in the future. 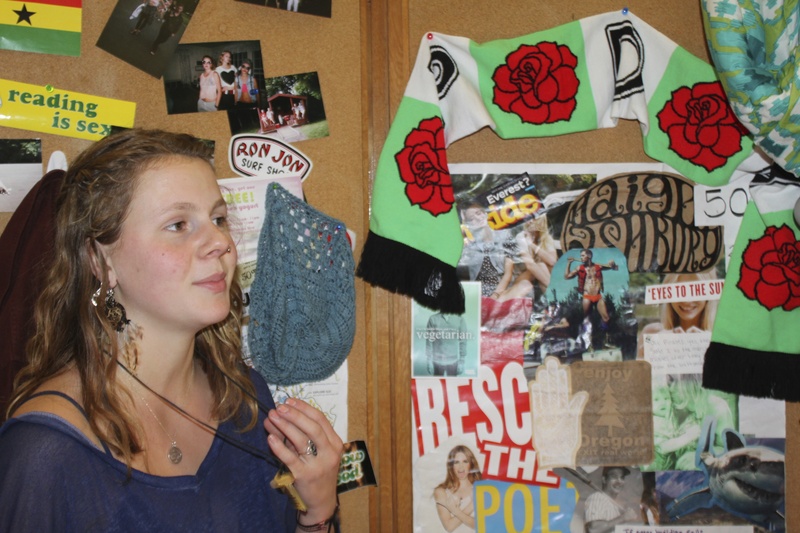 The Empower Poly Coalition (EPC) is Cal Poly’s hub for all things sustainable. It is the unifying umbrella that encompasses all environmental and humanitarian clubs on Cal Poly’s campus. Senior computer engineer, Cameron Dunn, is an active member of EPC and holds a position on the board. The coalition is made up of a board, members who attend meetings, occasional people who supply input or request awareness and six individual clubs. EPC holds meetings every month as well as a potluck. EPC actively works to push for sustainable and ecological solutions and pathways throughout campus and Cal Poly’s programs. Who is a part of EPC? The Fair Trade Club is a club that supports and tries to increase the use of Fair Trade items on campus. Currently the Fair Trade club is setting up to sell Fair Trade chocolates on Thursday, Feb. 13 in the University Union from 10:30 a.m.- 3:30 p.m.. The Sierra Club has a motto of “education through exploration.” The club is a branch off a national foundation, which aims to explore, enjoy and preserve nature and wild areas. 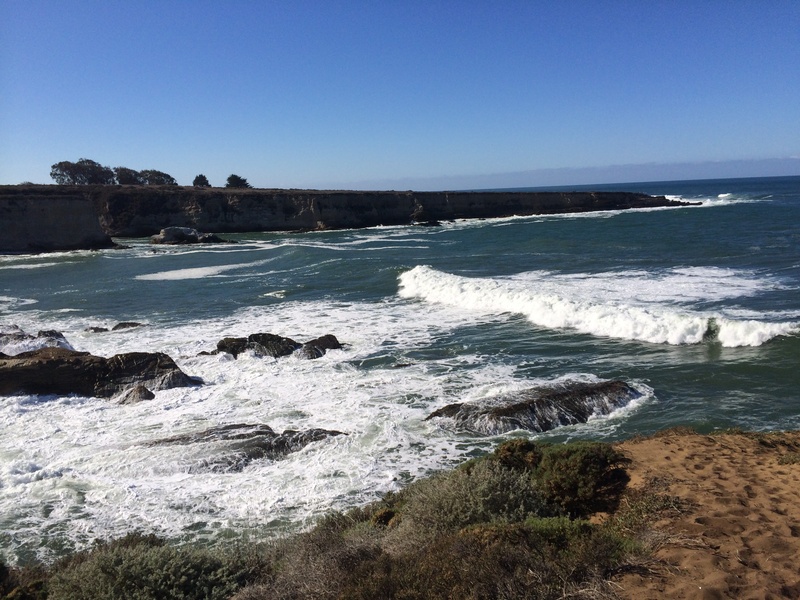 The Sierra Club plans weekly hikes and trips to various locations throughout the central coast. Biomimicry is the newest club to join EPC. The club works to take the blueprints of nature and model new technology based off it. The club often works with people who want to be doctors or engineers on coming up with new designs based on the molecular structures throughout nature. Real Food Collaborative is a club of students who actively work with on-campus dining to find healthy, more sustainable food options. The club helps to support better alternatives for on-campus dining by working with on-campus dining and providing solutions and suggestions. Freshman environmental management and protection major, Lindsey Bowles, is a member of Real Food Collaborative and has enjoyed its active approach. 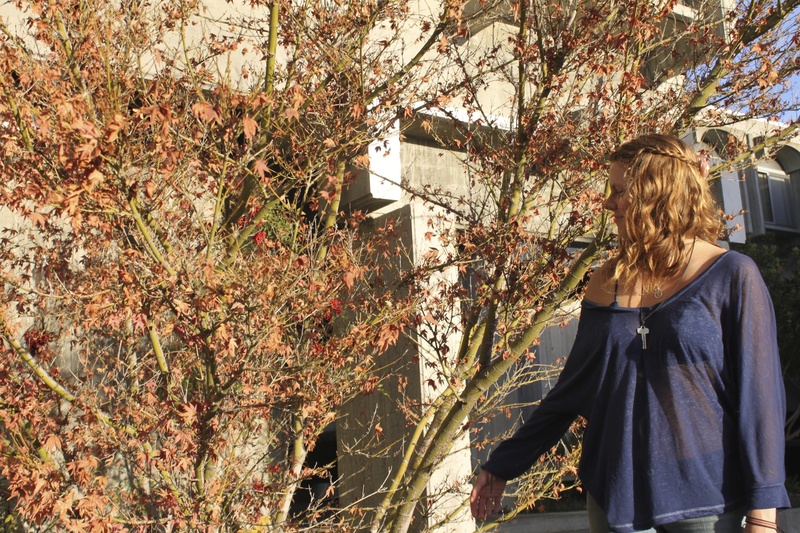 First year Lindsey Bowles is a member of Real Food Collaborative, a club which actively tries to bring healthy, better options to Cal Poly’s campus. Permaculture Club is a club that promotes, plants and creates awareness about ecosystems through a holistic approach. Recently, Permaculture Club planted wild flowers and installed a compost pile near the organic farm on campus. Additionally, the club started a community garden in Poly Canyon Village. The last club in EPC, which is also a fairly new addition, is Surfrider. Surfrider is a branch off a national foundation, which strives to keep beaches and the ocean clean and healthy. The club puts on monthly beach cleanups among other activities that promote beach health. Where have you seen EPC on campus? EPC has been involved in many programs and changes that have occurred on campus. Not only do they help plan sustainable solutions and answers for ASI and other administrative bodies, but they also push for their own ideas of sustainability to be implemented. 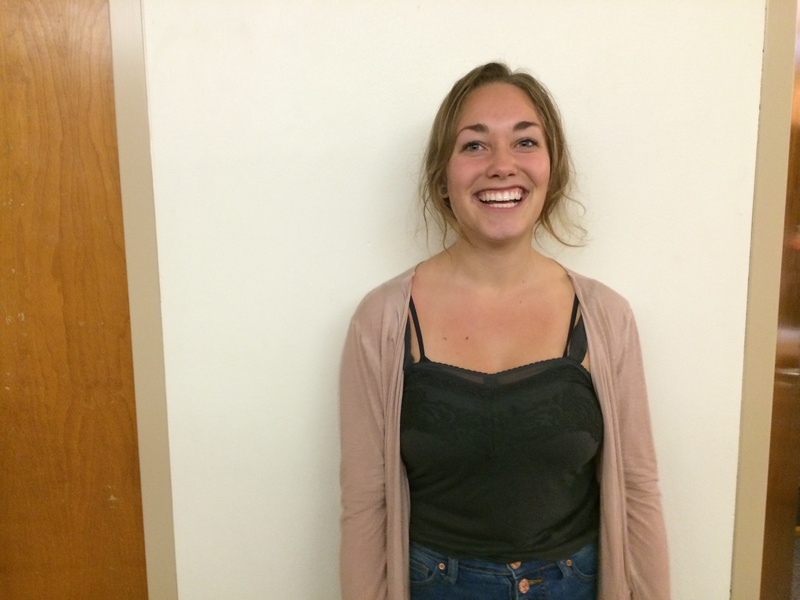 Camille Freeman, a sophomore crop science major, is also on the board for EPC and has been many of the changes the coalition has been able to make happen and implement throughout Cal Poly. “EPC took part in making the rec center get LEED certified, which was a great step of EPC,” said Freeman. 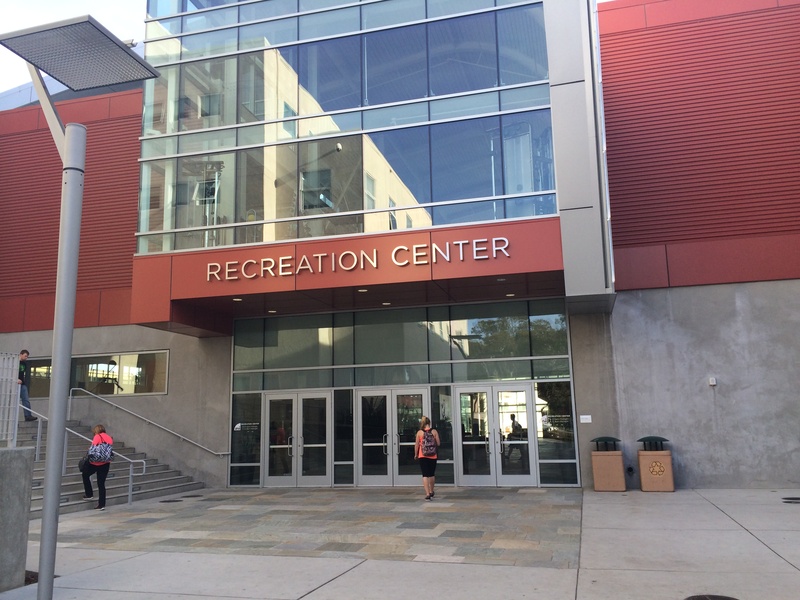 Empower Poly Corporation actively pushed for the Rec Center to get LEED certified before it opened as one of their many successful projects. Along with this, during the planning on WOW, organizers came to EPC for suggestions on how to make the event greener. EPC suggested the use of reusable water bottles and bags, which WOW then produced. Additionally, Cal Poly hosted the CSCC, a statewide conference for colleges’ sustainability programs, in the spring of 2012. The event drew hundreds of students from across the state. Where will you see EPC in the future? 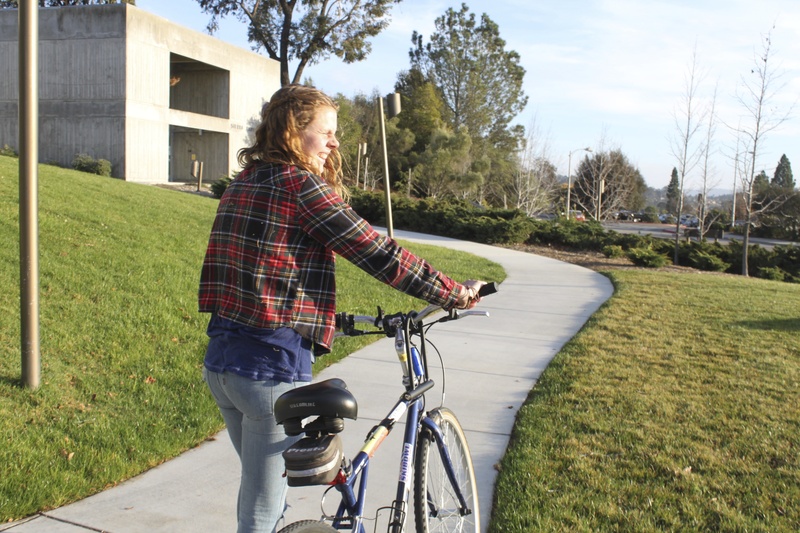 Going forward, EPC has big plans to help bring more sustainable living to Cal Poly. One major way they hope to do this is through their events during the week of Earth Day, April 22. The event has plans of having guest speakers, music, information and food. The timing is also inline with the ASI voting on The Green Initiative Fund (TGIF), a fund that will increase sustainability on campus. “I believe it will be a little bit of a rally for The Green Initiative Fund since ASI will be voting on that the next day,” said Freeman. The fund would be an extra $3, ASI is thinking, students would have to pay, which would go towards sustainable projects and programs on campus. The fund would be a general fund that would go toward sustainable projects or sustainable senior projects. One of the first things this fund would go towards if passed would be getting an organic food truck on campus. “We are working to get a food op on campus that would be all local, organic, sustainable and healthy food because we feel like that doesn’t exist on campus right now,” sand Freeman. EPC’s involvement in creating sustainable programs on campus is not only very successful, but also very important in making proactive steps towards a greener lifestyle. Composting is an effective and important aspect to sustainable living and preserving the Earth. Cal Poly’s Compost Program is an active and informative forum for compost education, development and practice. Campus dining and dorm waste compost could and should take more priority and programs organizing such things are being formed currently on campus. Worms love it. The Earth loves it. Plants love it. Treehuggers love it; composting is the true love of so many of the Earth’s creations. 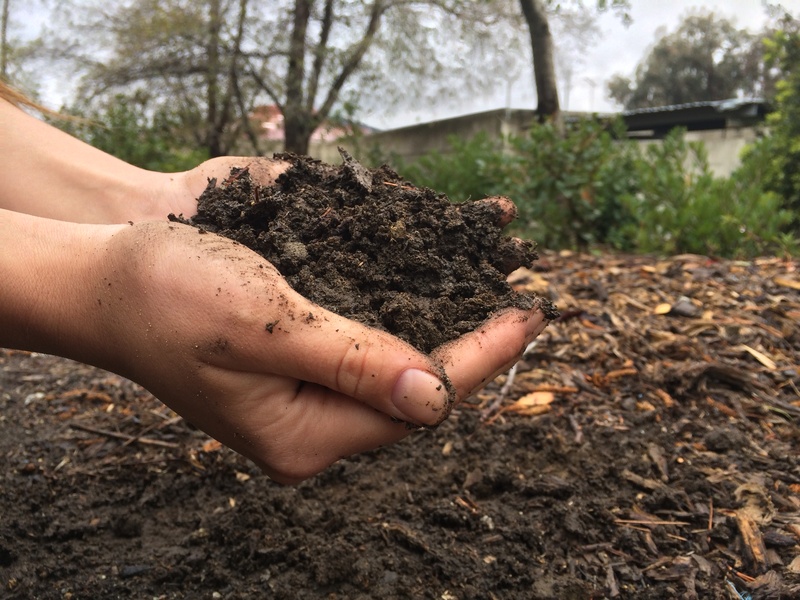 The benefits of composting are many and plentiful, yet why is it not more widely practiced and in what ways can it be incorporated into life on Cal Poly’s campus? These will be answered in this post on Treehugger Tidings: the worm’s paradise. Composting is the practice of disposing of organic matter in a pile to create nutrient rich soil. The mulch product can then be used as fertilizer for one’s own garden or sold to farmers for profit. Compost piles can be as small as a corner of a yard or an area as large as a field. This organic gardening style has become increasingly popular among small farmers and gardeners looking for a better and easier alternative for expensive, and often toxic, artificial fertilizers. Many environmentalists and organic farmers are supportive of increasing composting both for farming and in homes due to decreased waste and healthier soil. According to the SF Gate in 2010 over half of all city solid waste was material that could have been composted. The food waste in these landfills decomposes without air causing problems such as the production of methane, a strong greenhouse gas, because the process is done anaerobically. The US Environmental Protection Agency (EPA) concluded that 20 percent of methane production in America comes from landfills. Composting would have prevented much methane production and ridded millions of tons of material from landfills. Many organizations, cities, campuses and households have taken proactive approaches towards increasing compost systems. Cities such as Portland, Ore. have started compost programs that provide green, compost and yard debris bins and dropped garbage pick up to bimonthly to encourage households and businesses to compost or recycle more frequently. an easy way to combat climate change. CAFES’s Center of Sustainability’s director Hunter Francis runs the Cal Poly Compost Program and is an active supporter of composting. He believes its benefits are important, lasting and becoming more known. Currently Cal Poly does have a large-scale compost site where manure from beef, horses and landscape trimmings are composted across from the organic farm, which creates high quality compost product that Cal Poly bags and sells by the plant shop on campus. The Cal Poly Compost unit is one of the largest university compost programs in the country. The product of composting acts as a natural organic fertilizer and soil amendment. Currently Cal Poly is not recycling any of their on campus food waste, though some of it is going to a composter in Santa Maria. The center offers a weeklong training program at the Cal Poly composting site for large-scale compost programs occurring over spring break. Additionally they offer training for smaller compost projects and hold events locally. 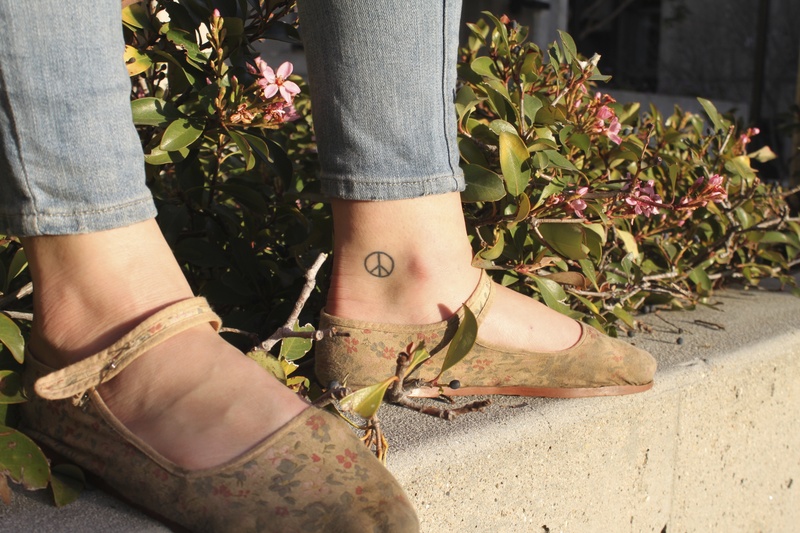 They also plan to hold workshops and informational meetings at Cal Poly’s Change the Status Quo event in February, as well as an event on Earth Day in April. While Cal Poly does have proactive programs that implement composting into Cal Poly’s campus, there is still much room for improvement and further incorporating of composting. Composting our own on campus dining scraps would create nutrient rich, healthy soil, which could be used in any agricultural fields as a natural, organic fertilizer. Additionally, Cal Poly’s Zero Waste Club has been talking and creating plans to begin a compost system for the freshman dorms. Grass and dirt areas outside of the dormitory buildings act as a fitting location for compost piles. First year environmental management and protection major, Lindsey Bowles, is a strong supporter of incorporating composting throughout the dorms. She believes providing a small area outside of the dorms to dispose of food scraps and other organic material would not only decrease waste, but also help set a good example for students going forward. Likewise, Resident Advisor Brett Kelley thinks having a compost pile accessible for students living in the dorms would be a good step towards more sustainable living. Meet Leighton Murphy. She a perfect example of what it means to live green. Her journey to Cal Poly has led her to new truths and understandings that have formed her into the woman she is today: a woman for the Earth. 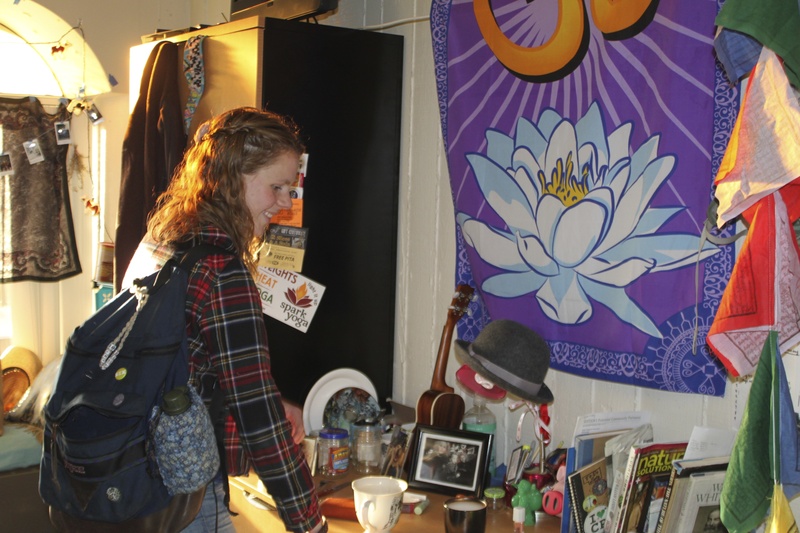 Leighton Shea Murphy is a first year at Cal Poly, migrating to this new state from the evergreens of Portland, Oregon. In Oregon, her green ways took shape. “Growing up in an environment that so outwardly loves the environment definitely can be attributed to for the start of my love relationship with the Earth,” said Murphy. 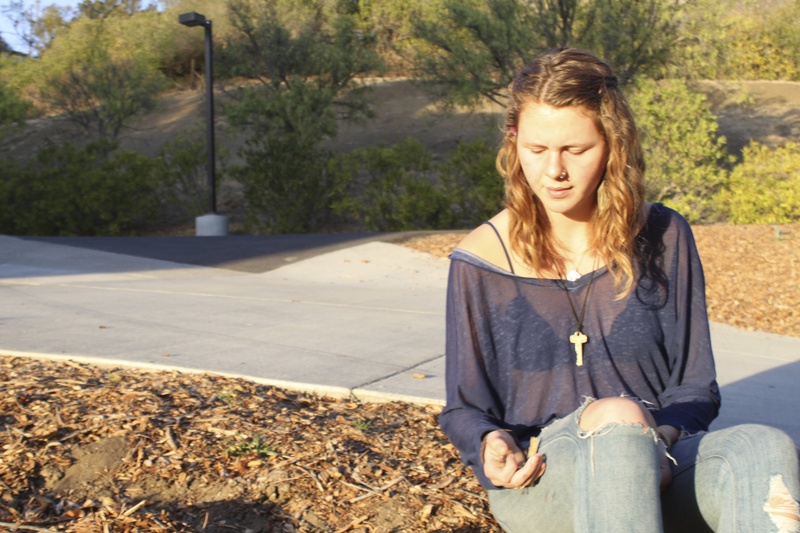 Coming to Cal Poly, her love and adoration for Earth and her beauties only grew. “The new habitat and environment of the Central Coast is definitely different from the greenery of the City of Roses I am used to, but I think that the new scenery actually made my love for the nature even deepen,” said Murphy. 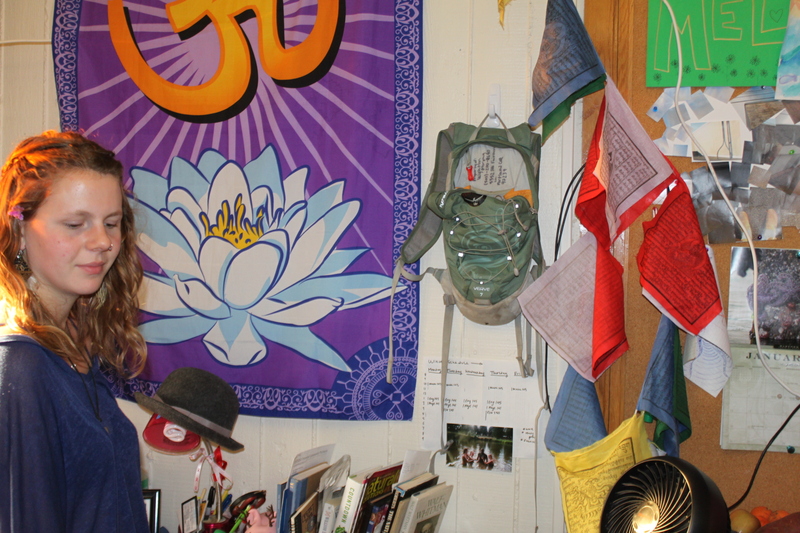 Murphy hopes her study of environmental engineering will allow her to get her hands dirty in the field of sustainability science after college, specifically with EcoVillages. She also hopes to minor in horticulture. Murphy immediately got involved with green programs on campus including Empower Poly Coalition, which is Cal Poly’s sustainable hub. She also joined the Sierra Club and Surfrider Club. Alex Ly, president of Surfrider Club and fourth year Industrial Engineer, commends Leighton’s commitment. “Yeah, Leighton is always very involved and into our events, and you can tell she truly cares, which is nice,” said Ly. Murphy volunteered to be on the head front of a program to start composting in various dorms. She plans to convert some dirt in the area around her dorm into a compost pile and encourage dorm mates to use it in hopes of using the nutrient rich soil left behind to start an herb garden. Murphy and her dorm mates planted basil and green onions in the dirt outside their dorm building. In route to showing the plants, Murphy discovered that both plants had been rooted and removed. Though this did not bum her spirits. “Good thing I kept the extra seeds,” said Murphy. Leighton exhibits constant passion and fire in the belly to do her best for nature and the Earth around her. She is notorious for stopping walks and hikes to point out cool trees or interesting, small flowers.